Free from my work commitments and feeling like a huge weight had been lifted, I spent the first nice day of unemployment exploring south of the downtown of Melbourne. 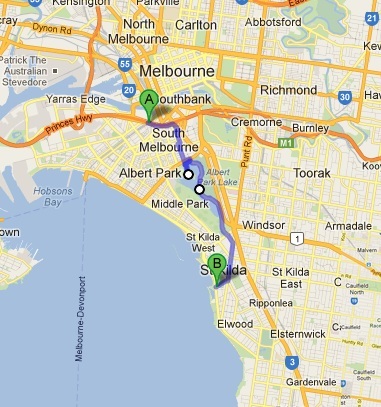 I was headed towards the beachside destination of St. Kilda. This was a place most people would visit via the tram system. I decided to use my feet instead. Just because I had two days of National Park adventures didn’t mean I was finished with the region! Our 2 day tour had finished and deposited the group back in Darwin but my turnaround time was to be short. I was up early the next morning once again for another tour, this time taking in Litchfield National Park. 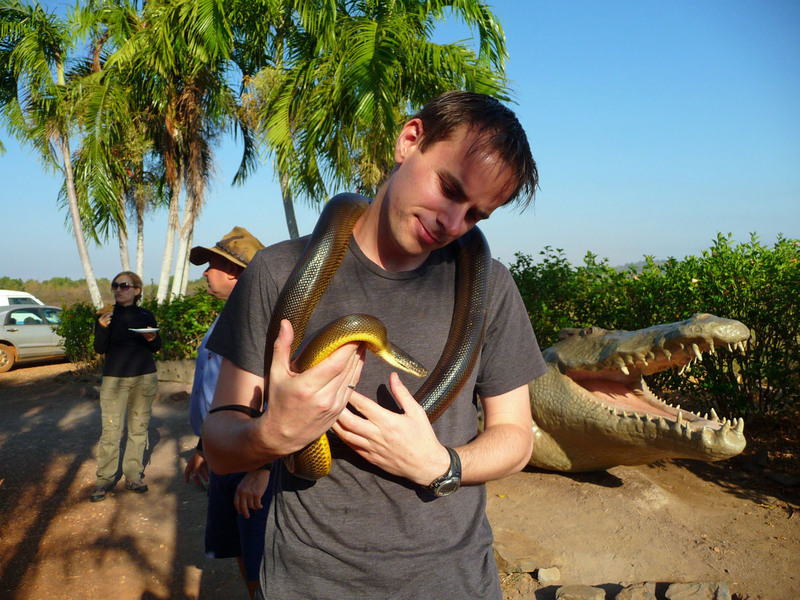 Smaller and much closer to Darwin than Kakadu, Litchfield is an enjoyable day tour kind of place. 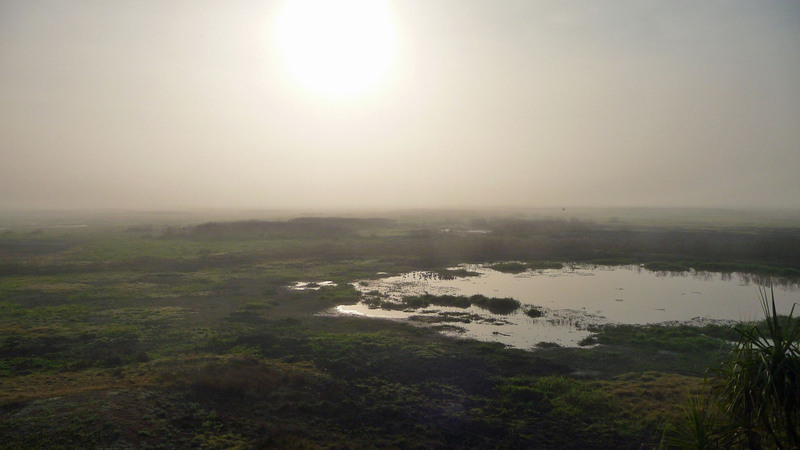 Plus, we make a stop along the way at the Adelaide River for some interesting highlights. Our second day in Kakadu involved the usual bright and early wakeup, followed by a bit of a drive. But today’s drive would be a bit more challenging. This is why we have the big fancy 4WD bus this tour, so we can cross rivers and handle dirt roads that aren’t the least bit flat. Everything in Kakadu seems to flood like crazy during the wet season, so most roads take a severe beating during that time. 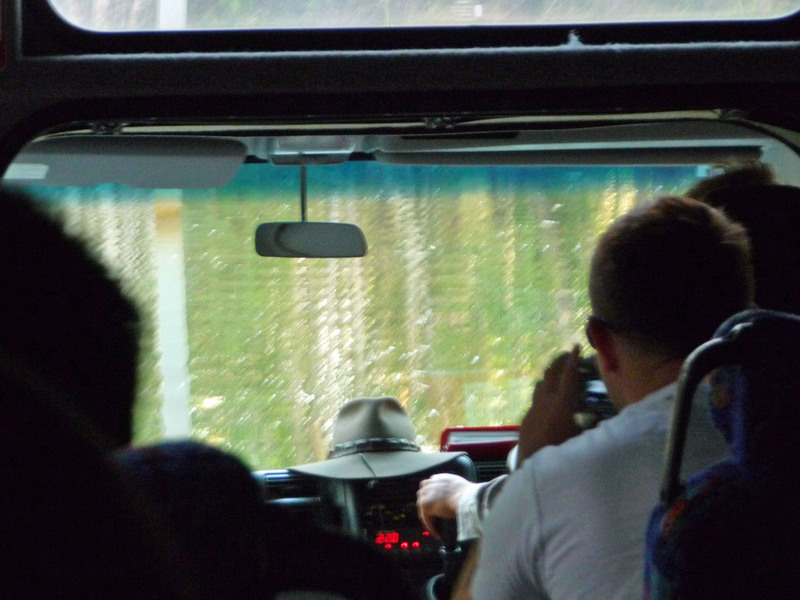 As such, much of Kakadu is still only accessible via dirt roads, often very bumpy ones. Or in this case, ones involving a small river to cross. Besides it’s interesting history, the city of Darwin held little interest to me. It has now become one of the top winter getaways for Australians, featuring warm weather and bad Australian beer. Nothing too special. But there is a lot to see outside of Darwin, and Kakadu National Park has to be considered the primary focal point for that interest. Kakadu National Park is a UNESCO World Heritage site, not only for it’s natural beauty but also cultural significance. So it was a bright and early morning that a bunch of us packed onto a 4WD tour bus and headed off into the fog of the morning. We had quite a bit of driving to do, Kakadu is about 2 hours of driving away. But even then, Kakadu is *massive*, some 200km North-South and 100km East-West. BIG. And a lot of it is hard to get to, requiring the use of 4WD. I was thankful not to be driving once I saw some of the roads! 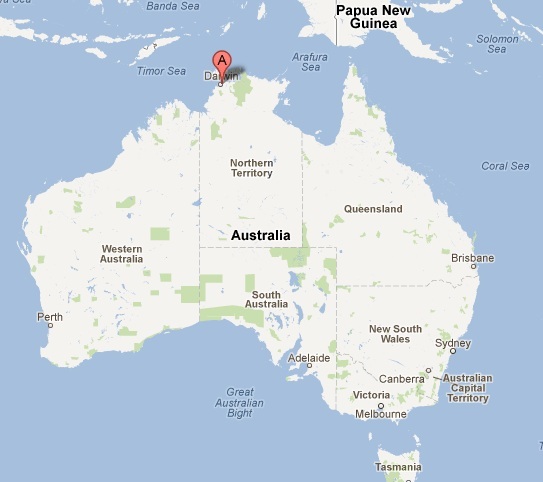 Darwin is the furthest north city of Australia and also serves as the capital of the Northern Territories. It is distinctly tropical, being a scant 12.5 degrees South of the equator latitudinally. To give you an idea of where it’s equivalent is in North America…well, there isn’t one. You’d have to go south of Cuba, south of the Dominican Republic, south of Mexico. All the way down to around Nicaragua. So Darwin indeed is very tropical and very hot year round. Australia has a fairly limited rail network, but it does service most major corners of the continent. Adelaide especially serves as a crossroads of the two longest distance trains, the Indian-Pacific and the Ghan. 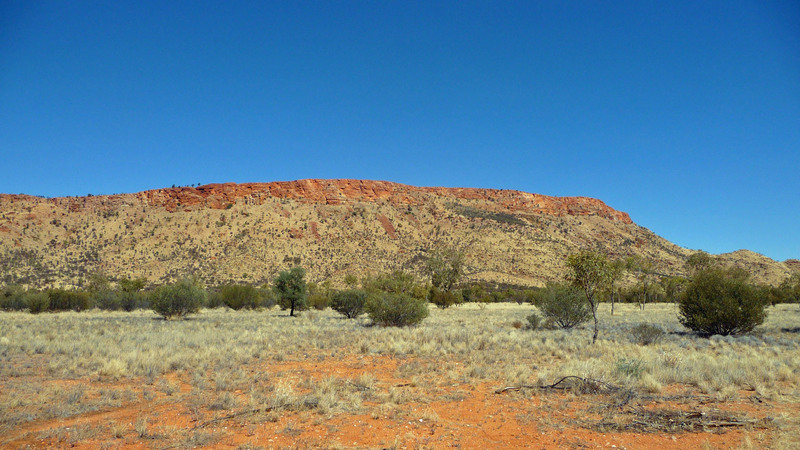 The Indian-Pacific runs East-West, from Perth to Sydney, while the Ghan runs North-South from Adelaide up to the far reaches of the tropical north of Darwin. A kilometer or so from the Desert Springs Park marked the start of the trail leading to the peak of Mt. Gillen. Well, sort of. There really was no trail markings, but it also wasn’t hard to find your way. Trails criss-crossed constantly across the low vegetation and you could easily keep your goal in sight as it towered above everything else. Australia has some funny looking birds. 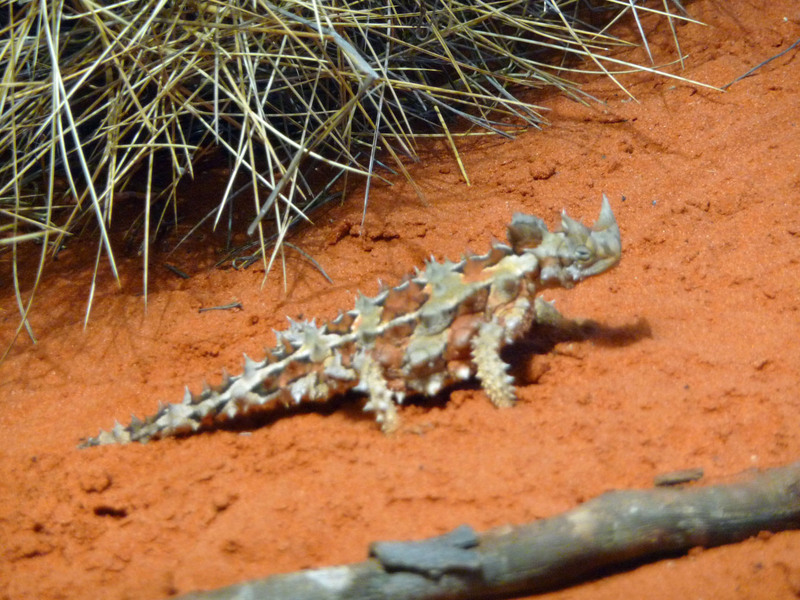 Okay, so that isn’t actually a bird but a Thorny Devil. Cute little guy. I met him in the early morning at the Alice Springs Desert Park, which was my first destination of a busy day. The Desert Park lies several kilometers outside of town and has created 3 distinct ecosystems on their grounds to show the varied effects of desert life. The grounds themselves were quite nice but the highlights were the nocturnal exhibit (not pictured, as one might imagine) and the free-flying bird show.